For nearly 50 years the Bay Area has been home to a indigenous movement of do-it-yourselfers and creative hacking. The Whole Earth Catalog captured much of that do-it-yourself, self-education, home-made ethic back in the 1960s and 1970s. Frank Oppenheimer launched the hands-on Exploratorium at the San Francisco Palace of Fine Arts in 1969. In the 1980s the Cacophony Society renewed the counterculture spirit of making stuff, which later morphed into the ongoing Burning Man scene. Recently, beginning in the 2000s, ReadyMade and Make magazine took up the torch of home grown society. About 5 years ago Make magazine hosted the first annual Maker Faire, and each year this rendezvouz of maker culture has grown in volume. 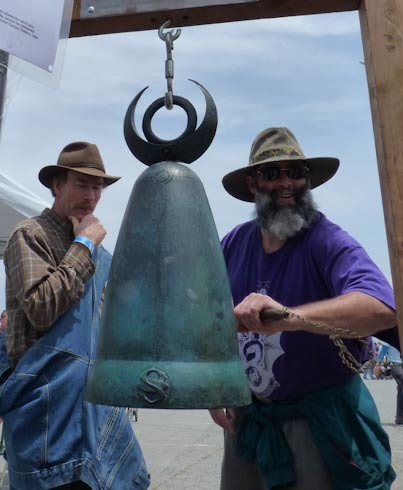 The themes at the Marker Faire, which just ran this weekend, overlaps many of the themes and subcultures at Burning Man, and the how-to-do it fascination of the Whole Earth Catalog – while adding a few new threads like the Steampunk whimsy. 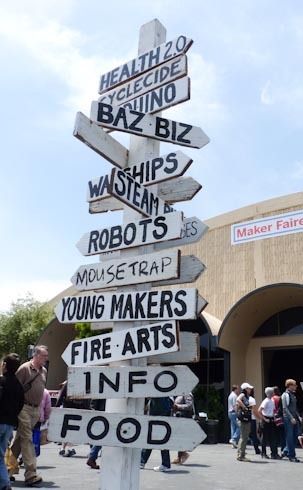 Many of the other Bay Area leaders in the maker movement are represented at the Faire as well including the Tinkering School, Instructables, the TechShop, the Crucible, the Mythbusters, Dirty Jobs, and so on. I am not sure what it is about the Bay Area that has generated this larger movement of hands on culture, but given its history, it certainly has. While there are parallel organizations in other cities around the world, the San Francisco / Silicon Valley area has more groups, and earlier. There is a lot of evidence that the maker culture is spreading, which I take to be good news. 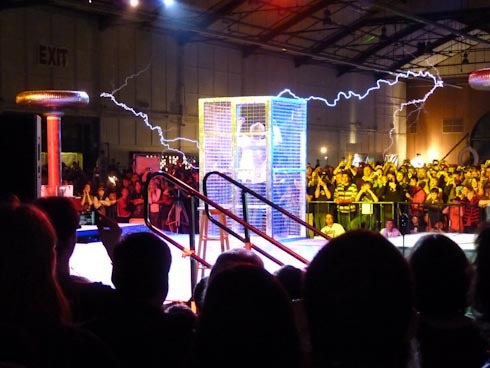 Mythbuster Adam Savage endures two bolts of lightening safely inside a Faraday cage. 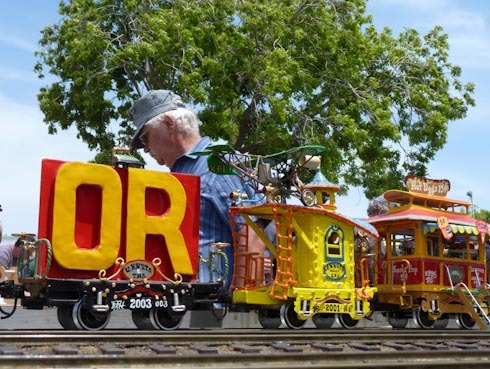 Not your ordinary model trains, these are steam powered mini whimsical trains. 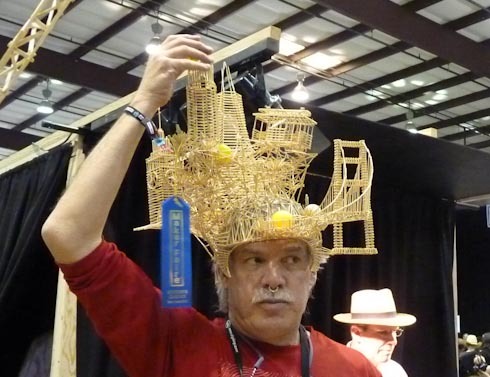 A functioning hat made with toothpicks and while glue. Ping pong balls zip around the chutes. 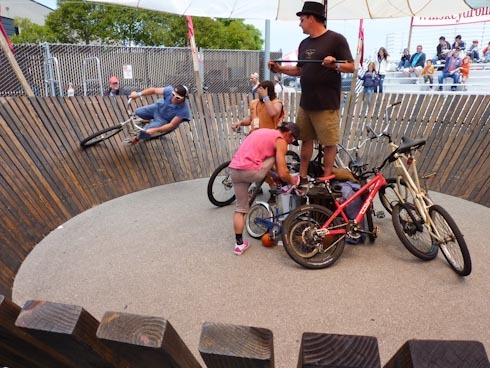 A reproduction of a old-timey velocidrome made of 2x4s. Three cyclists can pedal round near horizontally. 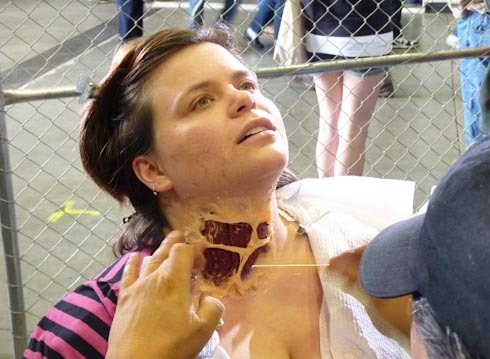 A volunteer demonstrates a lesson in extreme make up using flesh colored latex. A hot foundry run by the Crucible can produce an art bell like this one, which bongs deeply. 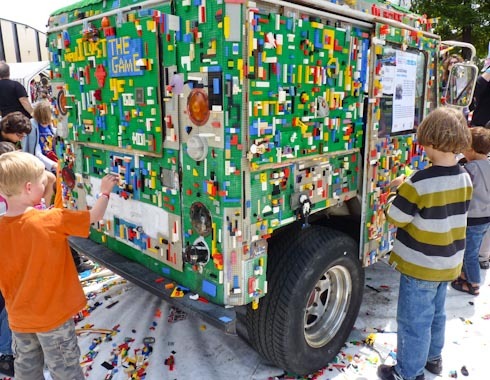 Take a jeep, and let kids cover it in lego sculptures. Instant art car. 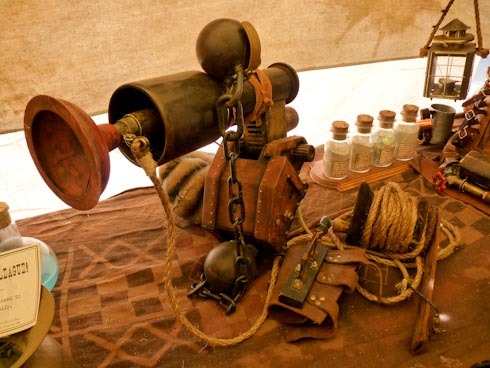 There is whole steampunk camp where home-made psuedo-victorian artifacts are shown off. A beautiful work of art. 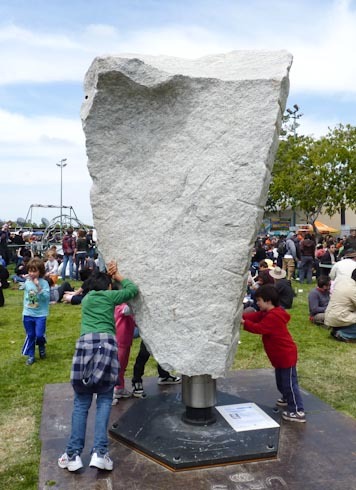 A huge stone is balanced on a bearing so even very small kids can spin it. A lot is going on. The Faire runs two days and its hard to see all of it.